Scandiweb likes to boast about our Developers. We have the biggest certified Magento developer team in the world and they do incredible work for our clients on a daily basis. Not only is every developer an important part of Scandiweb's legacy, but they're also all interesting people that are a joy to work with. Read their stories to learn what they do, what they're good at, what advice would they give to their younger selves & more! As a child, Igors had 2 peculiar phobias — elevators, thinking they’re all unsafe, and spiders, believing every single spider to be venomous! 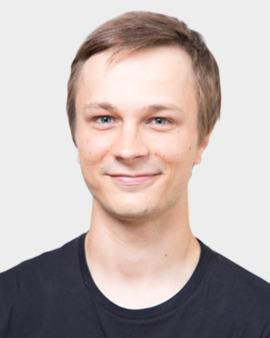 Now he’s a Senior Developer, and has been part of Scandiweb’s Rockar team since its inception, launching numerous huge projects for the likes of Land Rover, Jaguar, Mitsubishi, Hyundai, and Ford! 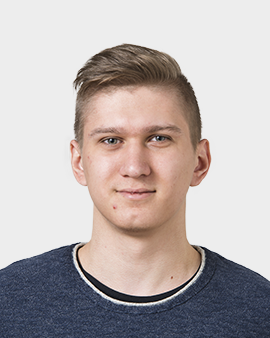 Igors is the muscle behind the project, doing a lot of the heavy lifting — implementing tasks, fixing bugs, fixing issues on projects environments, code reviewing, helping and assisting teammates, as well as working with clients to transfer their ideas into code! 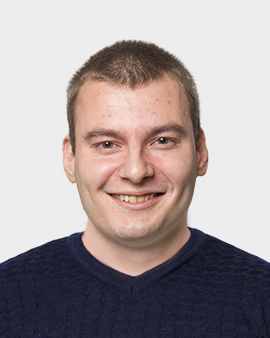 A helpful person by nature, with a high level of responsibility and incredible experience, Igors is the perfect fit for his position and is directly responsible for a lot of Scandiweb’s success! Igors’ passion is sports. Having spent his childhood in the yard and stadiums playing football, and currently trying to follow everything possible, Igors has a preference for hockey, basketball and boxing, however his busy schedule usually allows only to keep up with teams & athletes he supports. Igors’ heart, however, is his young daughter and, for Igors, the most valuable time of the day is the time spent with her. At Scandiweb, Igors likes the freedom! The liberal schedule and atmosphere mean that you’re in charge of your own time and can make time for the most important things in life, whenever necessary! At a younger age, Alfreds got confused in a crowd and ended up following a stranger for 20 minutes, before realizing that it was not his mom! Alfreds is a multifunctional developer, his speciality being creating lightning-fast landing pages. With a deluge of other tasks, including doing server-less set-ups, hosting all kinds of front-end related workshops, even working on crypto ATM machines and more, Alfreds is a well-rounded expert. Constantly striving to outperform himself, Alfreds seeks quality above all else, by making his work maximally reusable, and coding with pedantic care to make sure everything is written on a high level. Alfreds has heaps of hobbies and interests, from radio controlled planes, cars, and drones, to camping in nature with friends, to travelling and discovering new places, to working on open source projects, to playing table games with friends, and more! Active and energetic by nature, Alfreds picks up new skills with incredible ease and it doesn’t take him long to master them. A point of pride for Alfreds is having won third place in a Scientific Research project competition with his prosthetic leg project. Alfreds’ favorite thing about Scandiweb is the helpfulness — there are experts all around you and they’re always available for a helping hand or a useful tip! Another bonus is the vibrant and propulsive community that can’t go a week without organizing some epic event! At a younger age, Toms held the belief that eating seeds from an apple, for example, will result in the seeds sprouting inside your stomach and a tree will grow inside of you! Now he’s a developer, currently a dedicated one working on Cervera. His days consist of various third party-integration management, new feature implementation, as well as client communication and general website upkeep and maintenance. Being a quick learner, quick to react to any situation and having great people skills is what makes Toms shine in his position. The last one is especially crucial for a dedicated developer — the ability to understand and realize vague requests, to build mutual understanding and to have a generally positive relationship are all invaluable for Toms’ work. Music plays an important role in Toms’ life. He has played the guitar for many years and is still going at it. However, sound mixing and engineering is Toms’ true passion, taking up most of his evenings. Having an academic degree in the field, Toms’ interest has become more than just a hobby and is showing tangible results with 4 albums produced this year! An aspect of Scandiweb liked by Toms, is that the environment is designed to bring out the best in every individual, by deeply involving them in the projects and giving a lot of freedom. The helpful colleagues and the many financial benefits are also a bonus! As a child growing up in Livani, Renate used to believe that people in the capital, Riga, spoke a different language from the rest of Latvia! 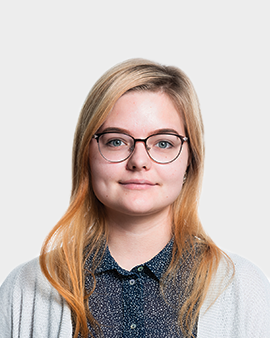 Now she’s a Developer, mostly working on Magento 2 backend tasks, meaning her days are filled with PHP programming. When prompted for the most useful skill that helps her with her daily duties, Renate highlights patience — crucial for surmounting difficult tasks and excelling in communication both with clients, as well as her colleagues. A bubbling, clever and funny person, Renate is a great team-player in terms of both helpfulness, as well as group morale upkeep! Being a lively individual, Renate’s interests are equally colourful. From closely following the latest news and happenings in online pop culture to ordering weird plant seeds from eBay and seeing what grows out of them — her latest experiment being mimosa pudica (aka the shy plant), there is rarely a dull moment with Renate. In fact, her friends would confirm this, since she’s always getting them involved in her adventures! A borderline intimate friend of the office coffee machine, Renate mentions the working environment as one of her favourite things about Scandiweb. Another is her colleagues — they’re a friendly, supportive and lighthearted group of people! As a child, Rihards used to get up to all sorts of shenanigans, one of which was managing to hit 80 km/h on his bicycle while going downhill. Now he’s a full-stack developer, with a BA in Computer Science and an MA in IT science in the works. Currently working on the Rockar project, Rihards is responsible for a wide variety of FE and BE tasks. Highlighting his programming experience as one of his strongest suits, Rihards also mentions rapid problem resolution as a valuable asset in his day-to-day duties! Music is a big part of Rihards’ life and, being agnostic to music genres, you will always find him with his earphones in listening to the latest sound that has caught his fancy. Cycling also takes up a lot of his free time, with Rihards often surpassing 40 km cycled per day! A fan of all sorts of extreme things, high-speed driving ranks among the top — hitting that 200 km/h is a great feeling, all in a controlled environment of course! 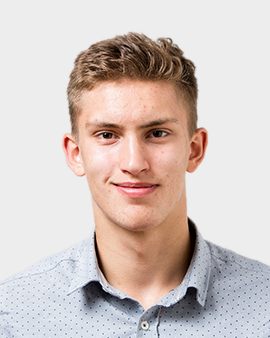 Rihards' favorite aspects of Scandiweb are his friendly colleagues, the incredible parties and events, and the many, many opportunities both for professional and personal growth! Scandiweb Team Stories #18 was originally published in Scandiweb Stories on Medium, where people are continuing the conversation by highlighting and responding to this story.